Philippe Grohe, head of Axor, the designer brand of Hansgrohe is an innovator who sees an alternate vision for the bathroom as a living space and works with various internationally renowned designers to investigate each designers angle on their water dream. 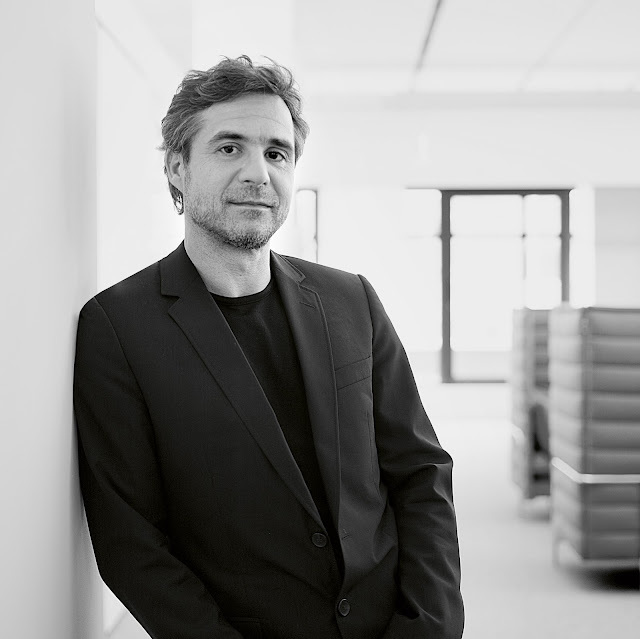 Grohe adds," in this regard, the focus is not primarily on the products, but on providing additional scope for creative development for breaking down established behavior patterns, and for conducting an open, interdisciplinary dialogue." Now he seeks to re-envision and re-consider the way the shower is perceived and interpreting it anew with Swedish design trio Front and Japenese design studio Nendo. 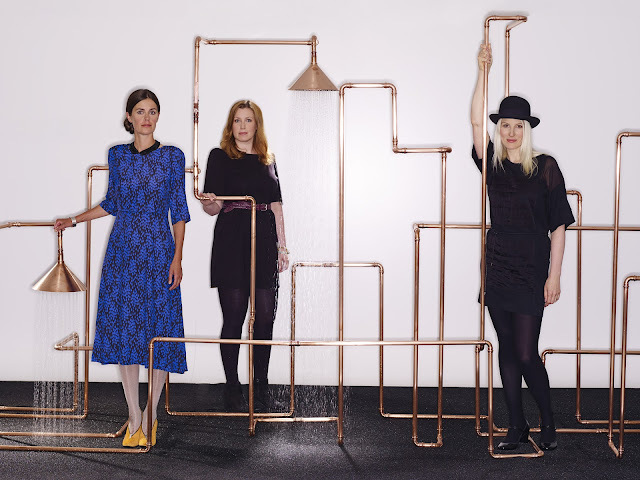 Pipes are beautiful and should be exposed. 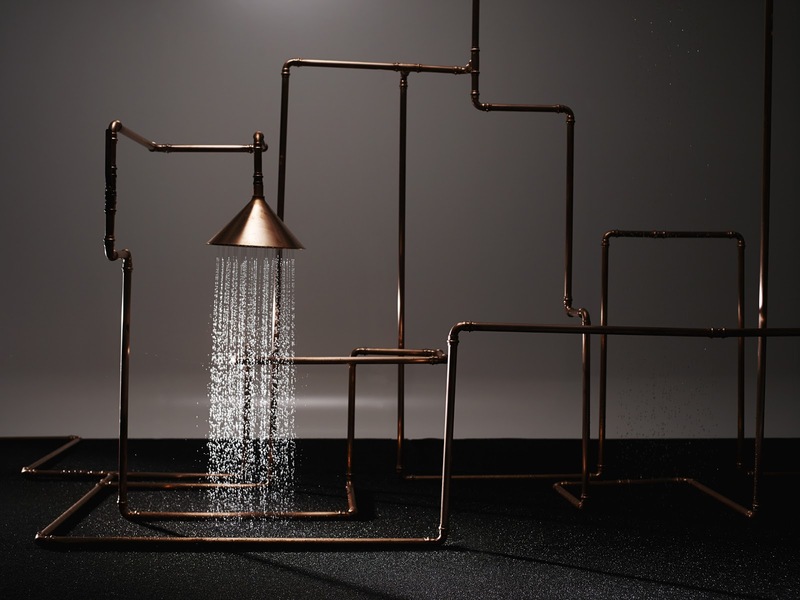 The design trio Front showcases the pathways of a shower system down to its rudimentary parts- copper pipes, valves, elbow fittings and funnel and emphasizes the simplistic beauty of water-flow. Love! 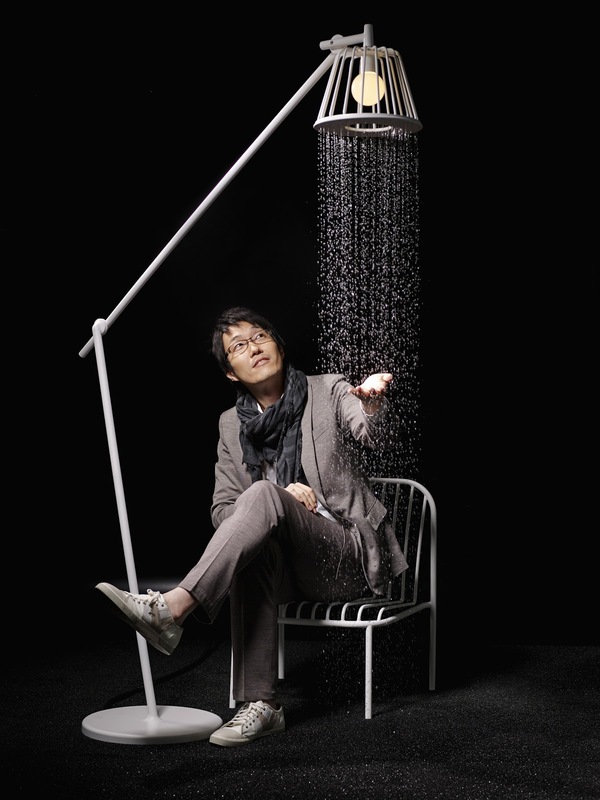 Designer Oki Sato of Nendo design studio combines water and light and envisions the shower as a lamp. 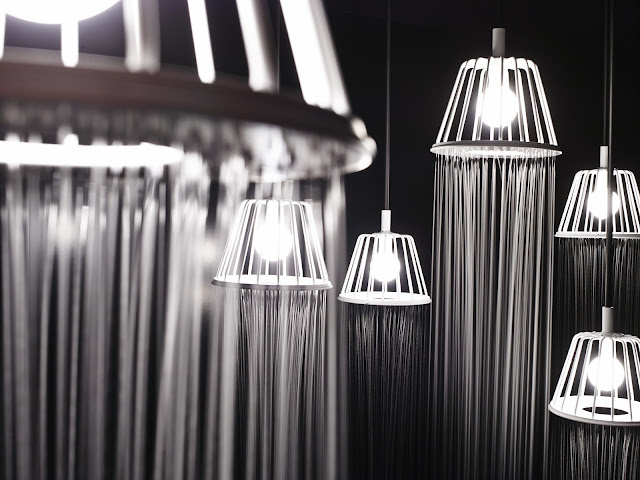 Wow, this is a very interesting spatial idea..... Nendo is overlapping the bathroom and living-room experience. 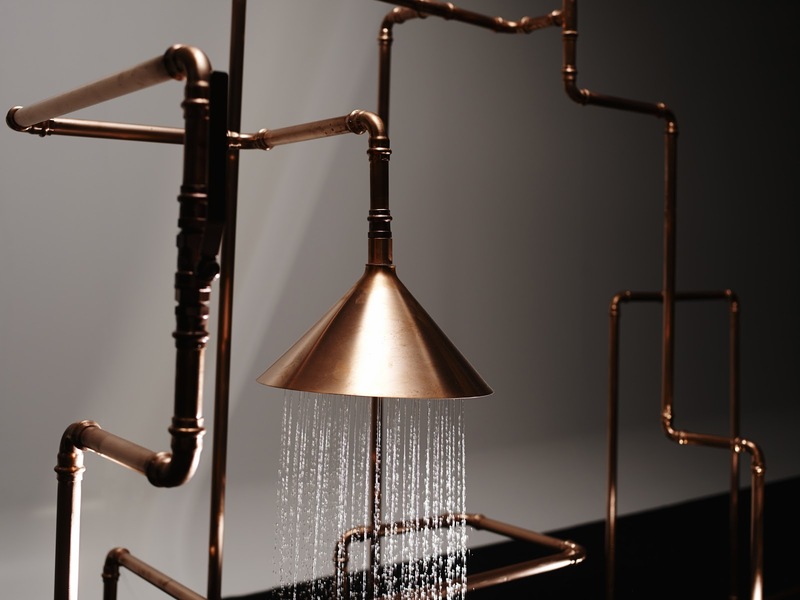 We read under light in our living room and now to replace the typical shower head and bench with a functional shower-lamp and chair is going to widen our thoughts and re-consider what our bathroom experience should be in the future..brilliant! 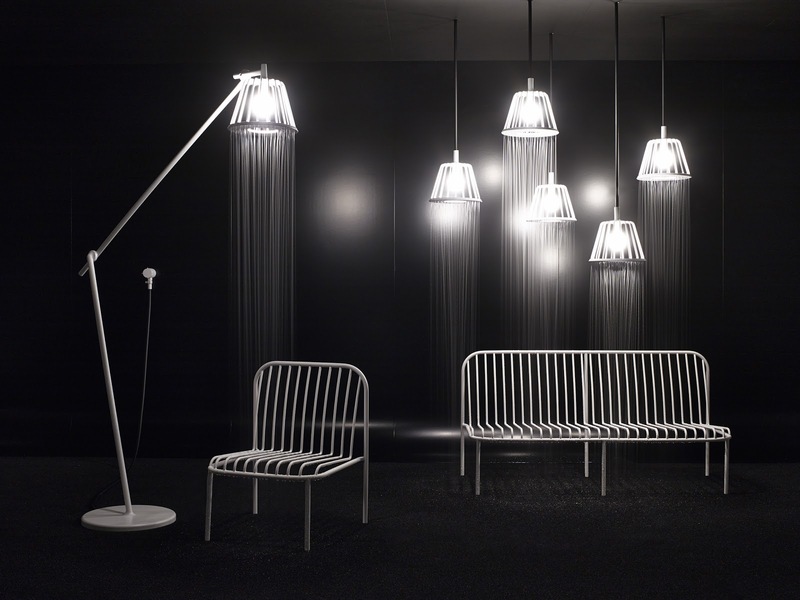 To get your daily dose of design, click 'LIKE' on the FACEBOOK page and TWITTER page.